It's not unusual for home buyers to sometimes think the world of real estate would be a whole lot easier if only sellers and buyers could just sit down together and discuss an offer. But there are a lot of reasons to hire real estate agents. It is also entirely possible that you could alienate the seller if you try to bypass the listing agent and call the seller directly. While sellers may feel comfortable showing you around their home and talking about their home improvement projects, most do not want to discuss terms of an offer directly with a buyer. If they wanted to sell as an FSBO, they would not have hired an agent. If you call the seller, you take the risk of alienation. Not only do sellers tend to feel uncomfortable talking about the terms of an offer, they don't want to bypass their agent because they believe their agent knows more about real estate than they do. They trust their listing agent. A real estate agent offers a seller knowledge, experience, and a fiduciary relationship. An agent acts as a buffer between the parties because, let's face it, a buyer's goal is probably to buy that home for the lowest price possible, and the seller's goal is to sell that home for the highest price possible. Those are opposite goals. The seller could view your position as adversarial, and if you try to call the seller, you could solidify that viewpoint. A buyer chooses a buyer's agent to represent their best interests. Even though the seller ends up paying the buyer's agent via a commission split, the buyer's agent is still responsible only to the buyer. It is the buyer's agent's job to present your offer to the listing agent. If you'd like your agent to present your offer directly to the seller, your agent can ask the listing agent for permission to do so. In those situations, though, the listing agent is still usually present with the seller. If you feel that your buyer's agent is incapable of representing you to the extent that you feel a need to bypass the agent, you should probably hire a different agent. A few years ago, a buyer wanted to buy a Colonial in Midtown Sacramento. He felt that the listing agent did not want him to buy the home, for unknown reasons. The buyer believed the listing agent might have drawn a counter offer and asked the seller to sign the counter offer without explaining the ramifications to the seller. The buyer went to the seller's house, knocked on her door and expressed his concerns. The seller was polite but distant. After the buyer left, the seller called her agent to complain. This made the listing agent upset. The listing agent was uncooperative from that point forward, and the buyer did not buy that home. 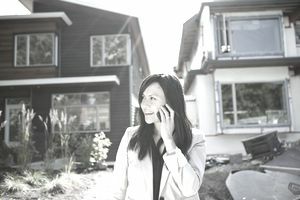 In another transaction, a listing agent explained to a buyer's agent what the buyer needed to do to buy a short sale. The buyer did not believe his agent and fired his agent. Then the buyer went directly to the seller. The buyer was a younger male and the seller was an older, single woman. The seller interpreted the buyer's exaggerated excitement for aggression, and she relayed her fears to her listing agent who, in turn, contacted the buyer's agent. The buyer asked if he could work directly with the listing agent. By this time, his tactics had alienated everybody involved, including the listing agent. The buyer sabotaged his own transaction. In the end, nobody wanted to work with him, much less sell the home to him.